Today's card came about because i was practising colouring with my inktense pencils. I love the look you can get from them either very loose watercolour or by taking more time and more layers you can have a lot of control. 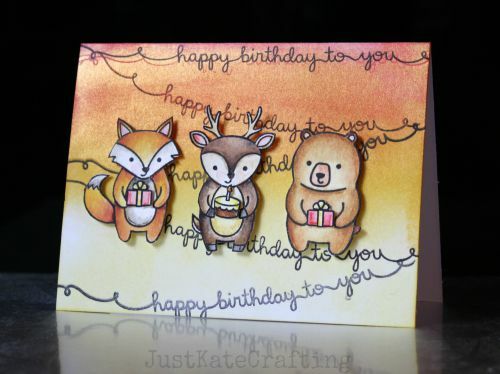 I have used Lawn fawn stamps sets Party animal and scripty sayings. The images were all coloured with inktense pencils and a water brush then fussy cut. I made the background with distress inks and perfect pearls the tamped the sripty sayings to looking like streamers at a party. I didn't add any extras as i feel there is plenty going on. 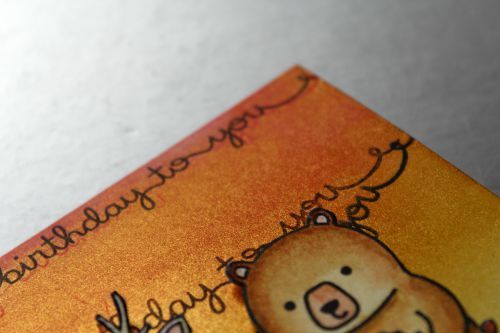 super fun card..love the coloring!